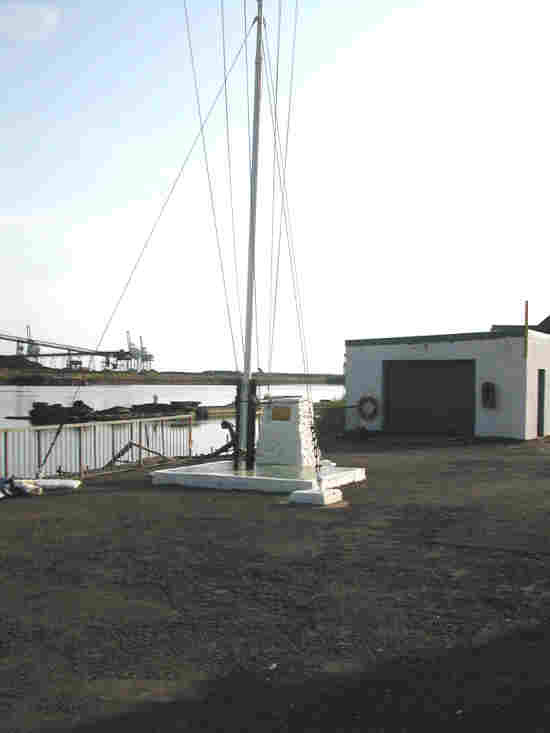 At Aberafan has a varied History once a very busy and important seaport for the export of coal and raw materials. We intend to expand on the history of the docks in the very near future a great many of Aberafans and Port Talbots activities were and still are centred within and around this once industrial lifeline that serviced the areas industrial past for now we are presenting two of its most well known services to the Royal Navy and the Merchant Navy history. In 1896-1932. Part of the Sanatorium or Isolation Hospital buit 600ft. up on Mynydd Emroch above Taibach was a large tin hut. 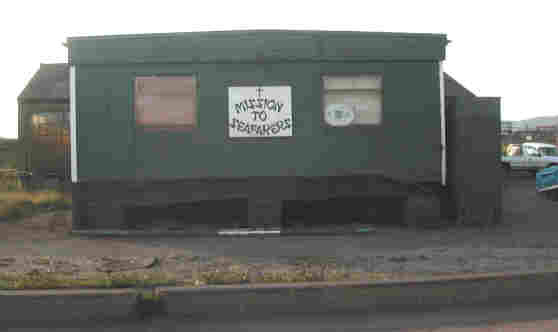 When the hospital closed in 1932. this hut was transfered to the Port Talbot docks. 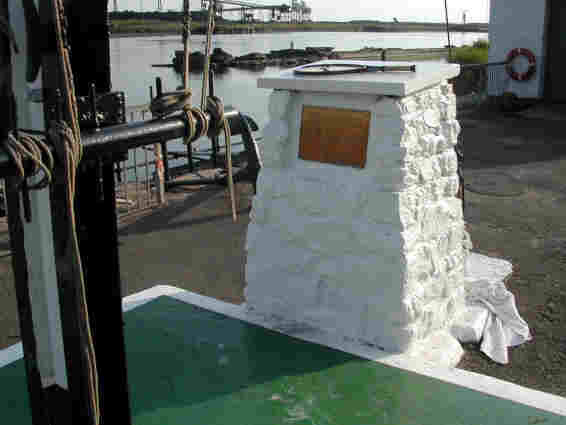 Erected next to the Harbour House, it was used by the Mission for Seamen as a meeting place and a place of worship. Then when the new tidal Harbour was built, and other trade at the old docks fell away, they relocated at the new Tidal Harbour. In 2006 the Reverend Joe Morgan was in charge of the mission and Mrs. Avril Winpenny was the warden, there are of course many helpers that are very willing volunteers at the mission, unfortunately I only know the name of one Mr. Raymond Preece, who I know mainly from his writings and especially from his efforts in producing his excellent little book "A History and Guide to St.Mary`s Church 1199-1999. 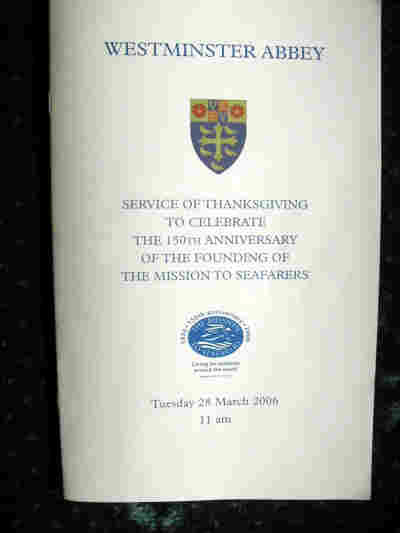 On Tuesday 28 March 2006 there was a service of thanksgiving held to celebrate the 150th anniversary of the founding of The Mission to seafarers. 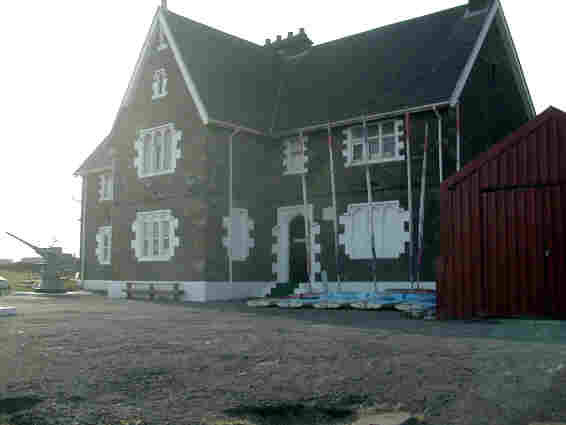 The Mission’s story goes back to John Ashley, a young Anglican clergyman, who in the 1830s,was so moved by the isolation and terrible conditions in which seafarers lived that he gave up a secure parish appointment to devote his life to their care, in the years that followed, other individuals also heard the cry for help from seafarers and were inspired to do similar work. Then in 1856,it was decided that those ministries should be grouped together under one name: “The Missions to Seamen”. "Then I saw an angel flying in mid-heaven with an eternal gospel, to proclaim to those on earth, to every nation, and tribe language and people." As the work of the newly formed society gradually spread, first throughout the UK and then to ports around the world, its main aim was the care, of seafarers` and their spiritual welfare. But because of the terrible conditions on board ships it soon became concerned with seafarers` physical well-being, Reading rooms and clubs were opened in ports and the mission was in the forefront of campaigning for improved conditions aboard vessels for crews. Throughout its history the Missions chaplains staff and volunteers have made a profound difference to the lives of seafarers. They have shared with crews the good and the bad times and they have stood alongside them in war and in peace. As they have gone about their daily work on the waterfront they in turn have been upheld by the prayers and support of faithful individuals, parishes, and members of the shipping industry. Many seamen have thanked God for this widespread and diverse group of people who have made the work of The Missions to Seamen, possible in the year 2000,it became “The Misson to Seafarers”. As we look ahead, we pray that all those who work for and support the Mission today will continue to serve seafarers with equal faith and commitment. Ships and ports may have changed since those early years, but many of the difficulties that seafarers face remain the same, such as isolation, separation from home and family, danger and, in some instances, exploitation and poor conditions. This means that the welcome, and friendship and practical and spiritual support offered to seafarers by the Mission to Seafarers is needed today as much as it ever was. 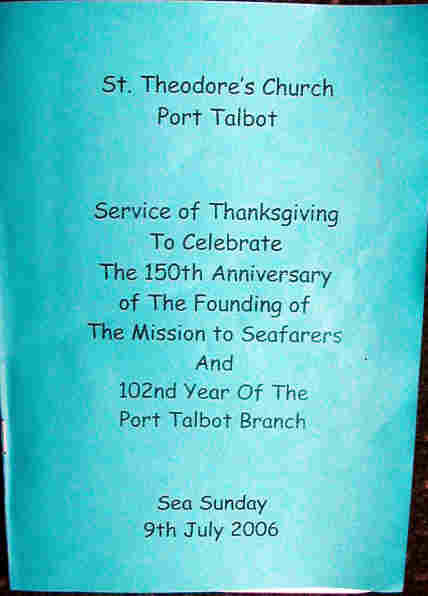 There was a “Sea Sunday” held on the 9th.July 2006. at St Theodore`s Church in Port Talbot, with a Service of Thanksgiving to celebrate the 150th Anniversary of the founding of The Mission to Seafarers combined with a celebration to mark the 102nd year of the Port Talbot Branch. Port Talbot Sea Cadet Corp. 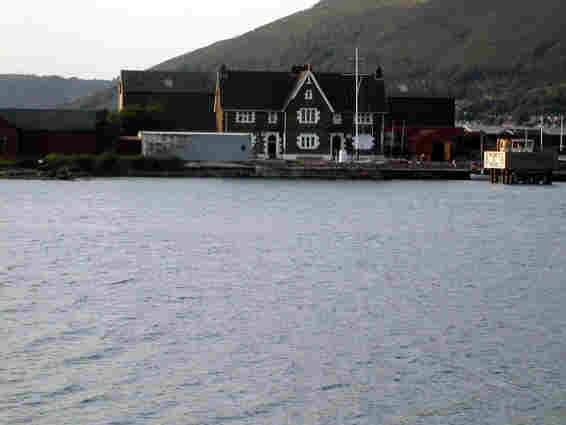 The sea cadet corp took over the Harbour house and tin shack when the Mission for Seafarers was relocated at the new outer harbour and remain there to this day. The aim of the Sea Cadet Corp is to help young people towards responsible adulthood; this is achieved through training on a naval-based training schedule and the customs of the Royal Navy and by encouraging valuable personal attributes and high standards of conduct. The oath of (service allegiance) given by a cadet recruit is in the form of a promise.
" I promise to serve my God, the Queen, my Country and the Sea Cadet Corps, and to obey the orders of my superior Officers. I will be proud of my uniform, and be smart and seamanlike in wearing it, and always do my duty". 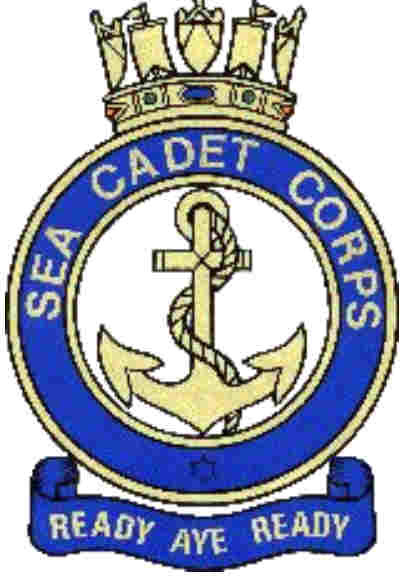 We Hope to expand the information on the Sea cadets of Aberavon in the near future.